Prom season is coming! Our Napa Valley car service is going to be the perfect choice for your prom transportation. We can help make sure that your night is special and memorable. If you are interested in looking your best and impressing your date or friends, we are ready to help you every step of the way. From stylish vehicles to professional chauffeurs, we have what it takes to help you stand out from the crowd. Make good memories with your fellow passengers and impress your school friends by hiring us to make your prom night seem magical. Our chauffeurs can pick you and your friends up from your home and take you wherever you need to go. If you want to go for a bite to eat before or after the prom, you can bet that heads will turn when you pull up in one of our fancy limousines. If you would like to drive around and just enjoy the limousine’s features, we can do that as well. Our goal is to make sure that you and your friends have a great time. Our limousines have leather interiors that will be comfortable to relax on. We have a high-end sound system and mood lighting that will add to the fun. You can start the party early when you step into one of our vehicles. Our Napa Valley transportation is a great option when you want to have a place where you and your friends can spend some quality time together. You can make amazing memories with your friends that you will be able to treasure for the rest of your life. 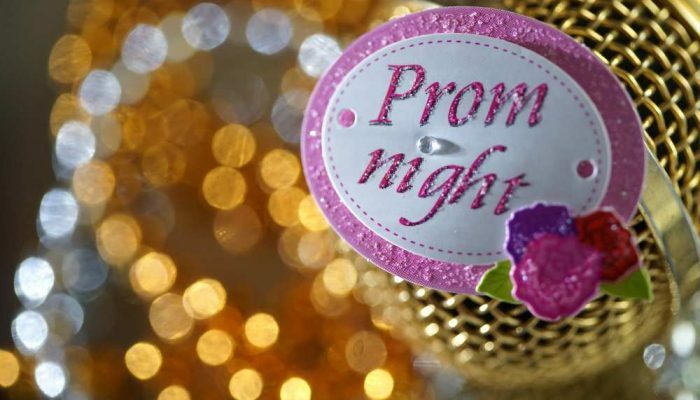 Prom night is important, and you can celebrate it in style with us. We look forward to taking care of your every need. It is always a good idea to have a chauffeur on prom night. Safety is important, and the streets will be busy with everyone attending the dance. You should focus on having a good time and not on who is going to be doing the driving. Our chauffeurs have all passed safety classes and can handle busy streets with ease. You want to be able to relax and have fun on your prom night, and a chauffeur can make sure that you have nothing to worry about. Instead of hiring just anyone to pick you and your friends up, go ahead and hire a professional. You want to be able to have peace of mind that your chauffeur will arrive on time so that you do not miss a moment of fun. If you want to surprise your date, a limousine is a great option. Imagine the smile on your date’s face when you pull up in one of our luxurious vehicles. When you want the night to be perfect, we specialize in taking care of all the small details. Our limousines are a romantic way to start and end the evening. Your date will be sure to be happy that you put so much thought into your transportation. When it comes to prom transportation, be sure to book your limousine early. You want to make sure that you get the car you want on your special night, and prom night is a popular evening. We want to make sure that your night goes smoothly by providing you with all the best services possible. When you hire a limousine for your prom, you are also hiring a professional who genuinely cares. Our chauffeurs are ready to provide you with friendly and helpful services that will make your night even better. Whether you want your chauffeur to answer any questions that you have about popular places to go around the area before or after the prom or you just want to spend some time in private with your friends, we are going to do what is right for you. We have privacy partitions in our limousines, and we are always ready to be of assistance to you. Our goal is to help you have the best prom night possible. We want to help you have an amazing evening that you will always cherish. You, your date, friends, or whoever you choose to ride with, all deserve to have an amazing prom night. This might be one of the last times you get to spend with close friends before everyone starts getting ready to go to college. You should not settle on just any type of transportation. You and your fellow passengers can live like the rich and famous during prom night. It can be fun to be treated like a celebrity, and we look forward to giving you the star treatment from start to finish. You should splurge and feel like royalty on a night as special as this. You have earned it thanks to all of the hard work you have put in. When you are ready to celebrate, we are ready to show you what it feels like to ride in a luxurious vehicle without a care in the world. Since you and your guests are dressed up anyway, you might as well choose to have the first-class treatment you deserve. Make prom night special by spoiling yourself and your friends. If you are in love with someone in particular or just want to impress your date of the night, our limousines will be the right choice. Our chauffeurs will cater to your needs so that you can have an unbelievably good time. Our company looks forward to showing you our luxurious vehicles and first-rate services. When you want your prom night to go just right, we are experts ready to lend a helping hand. We will provide a comfortable vehicle with top-notch amenities. Our professional chauffeurs will work hard to make sure that you and your guests are happy, and you can feel good knowing that a professional is going to safely take care of your transportation needs. Contact us today to book a reservation and learn about our stress-free prom services. At NVTT, our passion is reflected in our service, which we proudly stand behind. We are dedicated to making each experience a positively memorable one.